So, what better way to start the year than by writing an annual review? 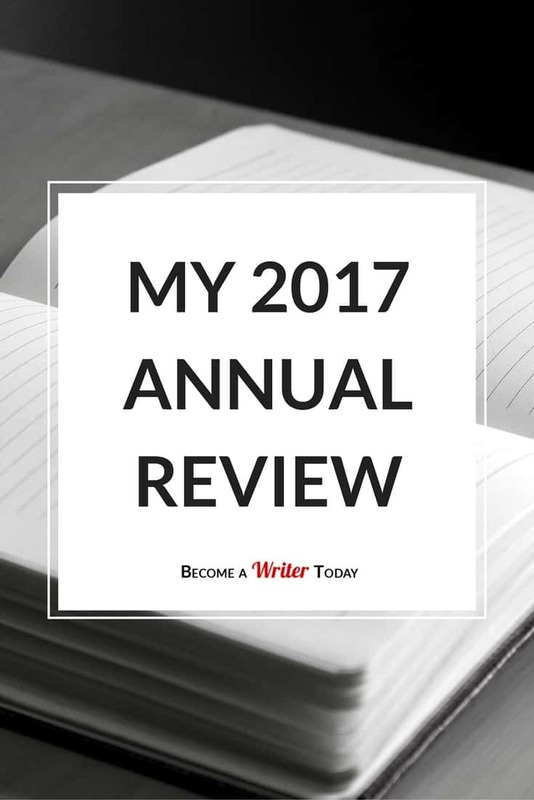 Hopefully, this review will help you learn from my messy mistakes… and from the things I got right during 2017. I live an hour outside Dublin in Ireland. I’ve spent the past four years blogging, and I started Become a Writer Today several years ago after a dream-job turned into a nightmare. I also self-published my first book three years ago. I write mostly non-fiction and offer new writers practical advice about the craft, self-publishing and more. If you want more background, check out my 2016 annual review. I published a lot of work this year… that I started last year. In 2015 and 2016, I wrote a three-part series called The Power of Creativity. Well, earlier this year, I published the last part of that series as well as a compilation of all three books. 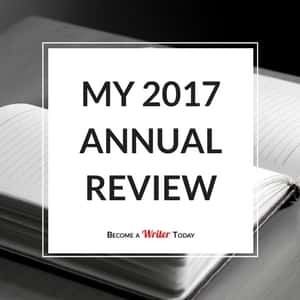 I also spent some of 2016 researching a book called The Art of Writing a Non-Fiction Book. I wrote that book this year, and I self-published audio, print and Kindle versions in November and December. I also published a post on my site or on other people’s websites at least once a month. If that sounds like a lot, remember I started writing these books back in 2015 and 2016. Also, I turned some of my blog posts into book chapters. Things are getting easier for indie authors, writers and bloggers. After doing this for three years, I’m amazed by how the creative business is becoming frictionless for writers. This year, Amazon rolled out a new print-on-demand service that enables authors to self-publish and sell print and Kindle books alongside each other. Previously, this was possible through Createspace, although that service wasn’t as easy to use as Amazon’s. Amazon also owns Createspace so it’ll be interesting to see what happens to both self-publishing services next year. 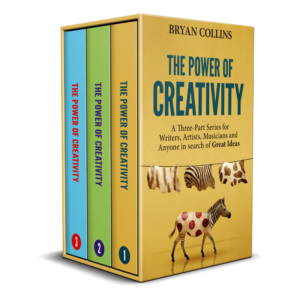 In 2016, I hired a book designer to format a print version of The Power of Creativity. That worked out nicely too. Self-publishing tools like Vellum enable authors to edit and prepare their book for print in an hour or so using fantastic looking pre-formatted templates. I simply drag a Word document or book file into Vellum and format it in about an hour. What’s more, Vellum exports the correct book file formats for Kindle, Kobo, Google Play, iTunes and more. That said, you still need to know the cost of self-publishing a book. This year, Amazon rolled out their book advertising service to authors outside of KDP. With a little bit of planning and research, you can advertise and sell lots of copies of your books. What better place to advertise a book than on Amazon? It took me about three months to figure out the various ad types and another three months to start earning a noticeable return on investment. I spend less time maintaining the ads than I did on Facebook ads, but it’s still work. I’ll publish a more detailed post about what I did soon. I used to spend hours looking for, researching and negotiating with various book editors, proofreaders and book-cover designers. Now, writers can use crowd-sourcing services like Reedsy to find professional editors, proofreaders and book cover designers in a marketplace. Last year, I complained that I didn’t write enough fiction. Now, I’m ok with that decision. After some introspection, I realised I’m a non-fiction writer at heart (at least for the medium-term). It’s what I love to read and write. Deciding to focus on writing non-fiction freed me up creatively and gave me back lots of time. I’ll caveat this section by explaining just because these things don’t work for me right now doesn’t mean they won’t work for you. In my 2016 annual review, I wrote about how Facebook ads were a great time-saver. Back then, I used Facebook ads to attract email subscribers and also to sell books. And it worked… to a point. Well, after spending several thousand dollars on Facebook ads, I struggled to break even. And that was after investing dozens of hours each month maintaining and testing the ads. So, in September I stopped running Facebook ads to generate email subscribers. Now, I run a few ads to sell books, but that’s about it. I’m not saying Facebook ads don’t work. They do, but I was generating a better return-on-investment from Amazon ads. So, I’m concentrating on Amazon ads for now. This year, I also eased off on guest posting, and I changed the posting schedule on my site from once a week to once a month. I also said no to almost every person who pitched me with a guest posting idea. I did this to concentrate on writing the aforementioned books. Unfortunately, this decision slowed the growth of my email list and organic website traffic. I’ll need to either write more frequent posts or start accepting guest posts again in 2018. In January 2017, I also decided to launch a podcast. I even recorded a few episodes It’s now November, and I still haven’t done it! Instead, I spent my time narrating an audiobook of The Art of Writing a Non-Fiction Book instead. For a guy who writes about productivity, that still smacks of procrastination. Did You Hear the One About My Course? I also created a new affordable course called the Savvy Non-Fiction Writer’s Club. I spent a lot of time trying to get this offer right, but I didn’t launch it widely or frequently enough. So expect to hear more about this club next year. 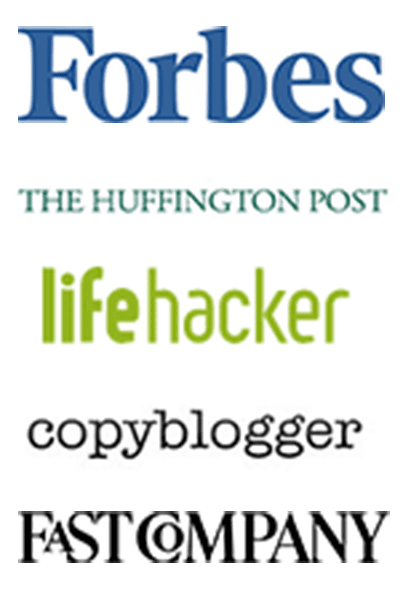 I’ve taken over a dozen premium online courses over the past twenty-four months. Some of these courses are better than others, but I’ve reached the point of course-blindness. I have a backlog of things to do before taking another course. I also want to work with other writers, bloggers and others who are experiencing similar challenges to me, so that we can share ideas. Previously, I hosted and managed my site using an all-in-one solution called Rainmaker or New Rainmaker. 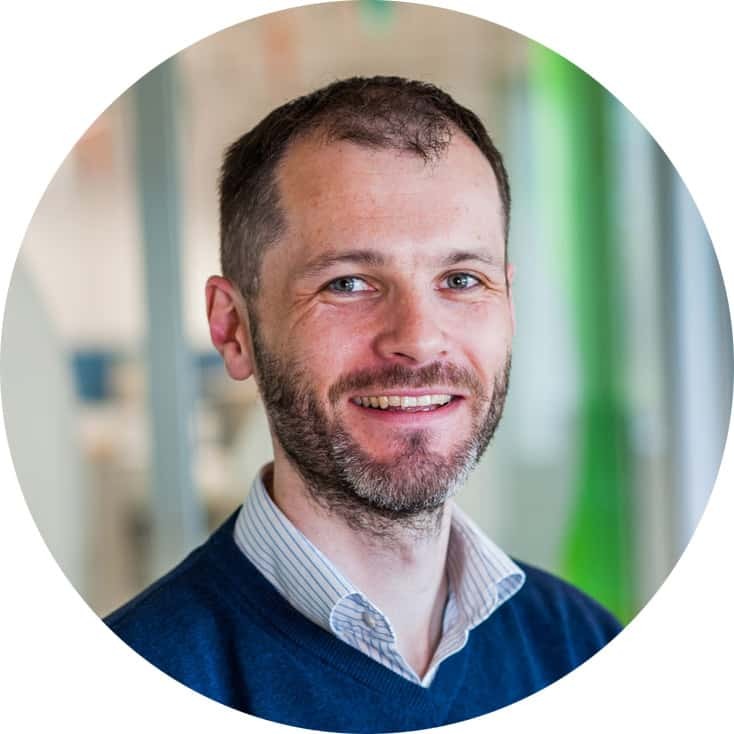 Earlier this year, the team behind Rainmaker announced plans to concentrate on creating web solutions for larger businesses and agencies. I also felt frustrated by the lack of support on Rainmaker for various WordPress plugins. So, I migrated off Rainmaker and back to a self-hosted WordPress solution. I dislike these type of technical projects and challenges, but it felt like the right move. Whatever type of writer you are, I still recommend starting a self-hosted blog that you have control over. Twitter is Becoming a Depressing Time-Sink. Sad! Twitter might work for Donald Trump, but it stopped working for me as well as it used to. My feed is now full of depressing political rants and distracting pop-culture memes. Website traffic from Twitter is down too. So, I deleted the app, and I blocked Twitter from my computer during working hours. You can still find me @bryanjcollins, but I’m active less than I used to be. To be honest, I’ve had more fun writing articles and connecting with readers on Medium. It’s like a social media network for writers… and it’s made by the same people who came up with Twitter. Medium is also a great way of practising your writing online until you set up your blog and start your email list. This year, I changed how I manage my creative work. I still wake up early to write and so on. However, I avoid working in the evenings, and I force myself to only work on whatever will help me achieve my goals first. Previously, I used a whiteboard and To Do list programme called Wunderlist, which Microsoft bought and are closing down. Don’t you just love it when a massive corporate buys and then stops developing your favourite app?! My grievances aside, to do lists are great, but a long list feels overwhelming. 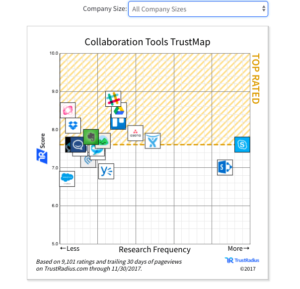 Trello is a highly recommended collaboration tool: Source Trust Radius. Now, I use Trello for managing various creative projects. Trello is a tool for project management, collaboration and more. It’s based on a system of boards and cards. The principle of Kanban underpins Trello. This is a productivity technique pioneered by companies like Toyota. Kanban is easy to learn and a great way of combatting overload. I visualise my work by adding cards to Trello of things I’d like to do. For example, I added, “Write my annual review” to Trello in October. I limit my work by only dragging two or three of these cards at a time to the ‘Doing’ column in Trello. For example, I only dragged the “Write my annual review” card to ‘Doing’ in December. Trello syncs with Evernote too, so I can attach notes to cards and have everything in one place. You can also collaborate with others using Trello, and I work with an editor using this tool. If you’d like to get started with Kanban, I recommend you read the book Personal Kanban first. Or you can take a copy of my Trello Board and try it for yourself. That said, I will launch a compilation of my writing books at the end of winter. And there’s the Savvy Non-Fiction Writers’ Club I wrote about previously…. Launches aside, I want to explore a new genre of writing. 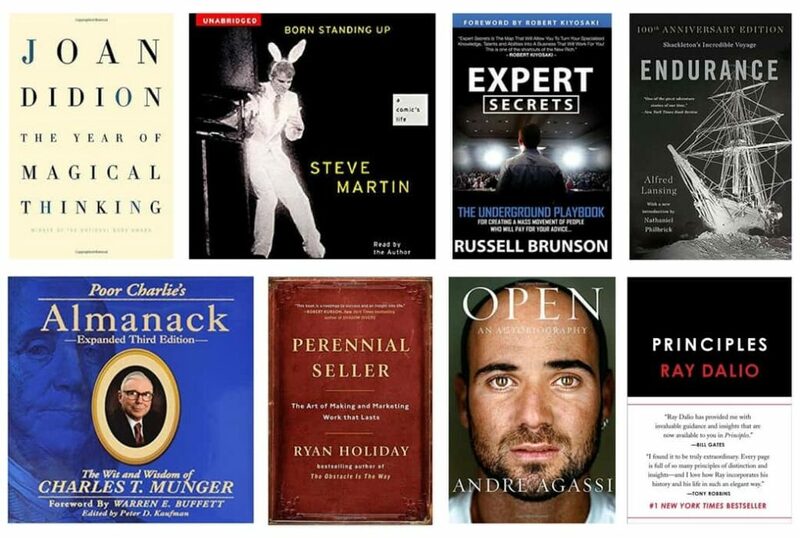 So far, I’ve written straight-up self-help books, practical writing books and some fiction. Now, I want to write more colourful self-help or write a business book. To do this, I’m going to restart guest posting and see which types of writing are more popular with readers and editors of other sites. I’ve also taken a comedy writing Masterclass by Steve Martin. No, I’ve no plans to perform stand-up, but his class taught me a lot about colourful writing. Will I launch that podcast? I enjoyed narrating an audiobook in November. So, I’ll see what the reception is like before recommitting to that podcast. The below list contains books I read in 2017, rather than books that were published this year. Principles by American investor Ray Dalio is the best business and self-helpful book I’ve read in a long time. If you’re considering starting a creative business (or any business), this book is a must-read. Perennial Seller by Ryan Holiday changed how I think about books and book marketing. In short: less, but better. Expert Secrets by Russell Brunson is a blueprint for marketing and selling online. Steve Martin published his autobiography Born Standing Up several years ago, but it remains an insight into the creative process of a top comedian. His audiobook also compliments his Masterclass nicely. Endurance by Ernest Shackleton is one of the best narrative non-fiction books I’ve read. Escapism at its best. Did I mention I live several miles from Ernest’s birthplace in Ireland? I read Andre Agassi’s Open while on holiday in Florida in April. It’s everything a good autobiography should be: frank, to the point and intimate. Poor Charlie’s Almanack is a rather large (and expensive book) about mental models by Warren Buffet’s business partner Charlie Munger. I didn’t realise how prevalent the concept of mental models is (or where it came from) until I read this book. Finally, The Center Will Not Hold isn’t a book. Instead, it’s a 2017 Netflix documentary about Joan Didion. I recommend reading The Year of Magical Thinking before watching it. How was 2017 for you? And what are your plans for 2018? Let me know in the comments section below. I did a freelance writing course, twice, but I learnt a great deal. I signed up to Facebook for the first time, mainly for the writing discussion groups. It wasn’t as scary as I thought. I read your book on non-fiction writing, which is great. Microsoft withdrew its support for the Windows mobile platform which means my to-do list app and my mobile phone are on the way out. 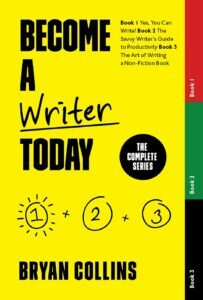 I discovered a solid copywriting course through a random email. I did a free programming course which I abandoned after a few modules when the concepts became more difficult and support was not available. I set up my website. I explored what is involved in creating a writing app. I discovered Aesop Story Engine as a free WordPress plugin for long form writing and may experiment with that plugin in 2018. I received some great advice from you in your articles, books and emails. And, I won an Amazon gift card, which I truly appreciate. All the best for 2018, everyone. Thanks to you, Bryan, for all of your insights. It sounds like you’re making great progress, all the best for 2018 for you too Neale!